NOTE: Pseudorandom Software is the new home of Inbugz. Learn more. 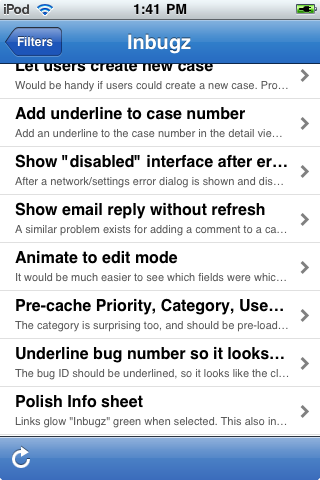 A straightforward FogBugz client for iPhone that allows you to reply to incoming customer emails, route issues to the proper project, and assign tickets to the responsible person on your team. It's perfect for dealing with bugs when your computer is away. 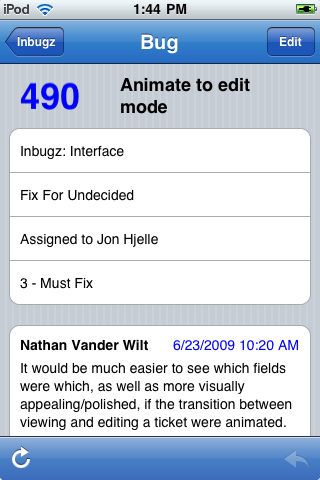 Inbugz requires FogBugz v6.1.13 or higher. 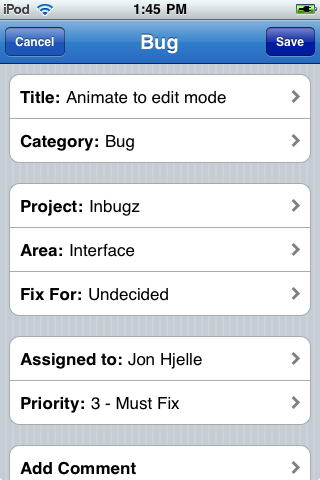 Buy Inbugz in the App Store. Enter your login and server information to begin. 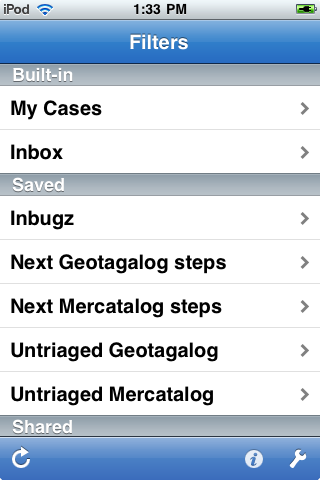 Inbugz will remember your login information, and load your list of filters. Select a filter to view its cases. Select a case to view details. Reply using the button at the bottom right (available when sending a response is possible). You can edit most aspects of a case and add additional notes. 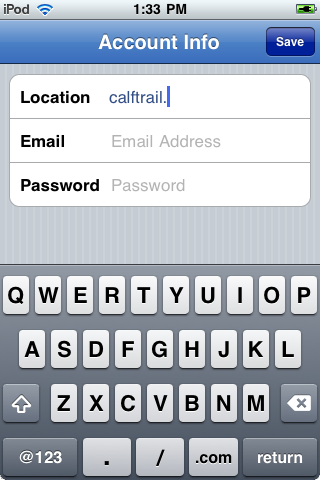 Copyright © 2008–2009 Calf Trail Software, LLC. All rights reserved.